Here’s a statistic that should stand out like a massive neon sign for any brand hoping to appeal to Generation Z: less than half of them identify as exclusively heterosexual. 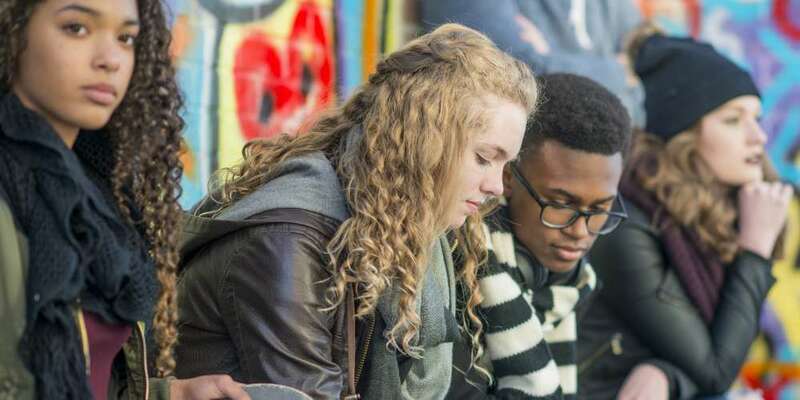 That data, courtesy of a study by the J. Walter Thompson Innovation Group, has profound implications for the way members of Generation Z (loosely defined as those born between 1998 and 2005) relate to the world, and the kind of treatment they expect from it. In ways that are sometimes mystifying to their elders, a radical transformation is taking place, in which young people discover new and increasingly fluid sexual and gender identities, often in online spaces. This intersection of social media and queer identities is creating an incredible opportunity for brands to position themselves if they are committed to educating themselves about just who these young LGBTQ people are and what they want. Generation Z is the first to have been born into an online world, and that means they’ve been exposed to LGBTQ issues from a young age, instilling in them the expectation that the world will (or should) accept them as they are. Research confirms that young people are coming out earlier than ever before, meaning that even young teenagers are comfortable with (and comforted by) LGBTQ-friendly messaging. In fact, they’ve been exposed to it for as long as they’ve had an internet connection. 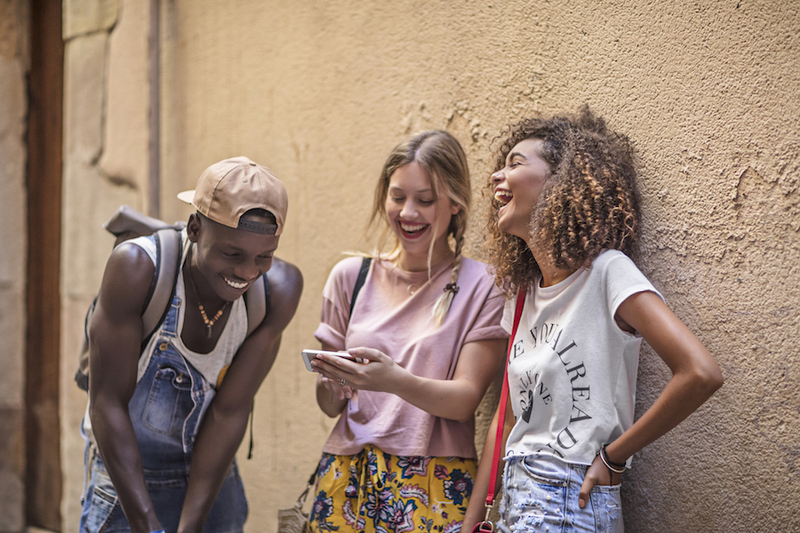 Smartphones are the preferred point of entry for all Gen Z-ers, and social media is their primary stomping grounds, with 72% reporting that they use some form of social media every day. But advertisers who see this data and simply conclude that a mobile-first campaign on Facebook will successfully reach Generation Z need to think more specifically. As ever, young people seek spaces to escape their parents, so while they may hop on Facebook for the occasional check-in, the core of their lives is playing out on Snapchat, Twitter and Tumblr. LGBTQ young people may have the most personal relationship with the internet of any group, and often report discovering their sexual or gender identity through social media. Anyone working in queer media has seen a hundred examples of community members who first realized they were gay courtesy of a YouTube clip, fan fiction or an online conversation in which they learned that the feelings they were struggling with had a name, and they weren’t alone in having them. 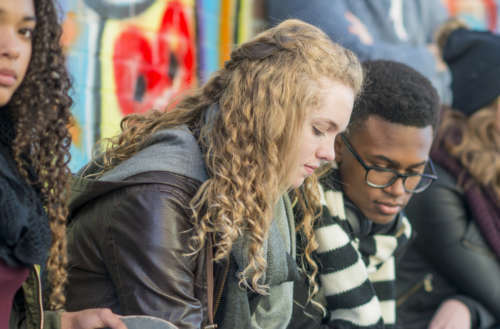 Young people feel confident that when they have questions — about what to watch, where to go or even who they are — they can find the answers in their trusted online spaces. The internet is a lifeline for LGBTQ young people, and this presents brands with not only a great opportunity but a serious responsibility to provide Generation Z with positive, diverse and identity-affirming messaging. Merely knowing the platforms on which to access LGBTQ Gen Z-ers isn’t enough, and neither is rubber-stamping products or messaging with a rainbow flag. Generation Z acknowledges a huge diversity of sexual and gender identities, and is moving past the binaries of gay and straight and even male and female. Today’s youths are more likely to self-identify as “queer” than ever before, but while this umbrella term can be useful, it also can’t be embraced by brands who haven’t earned their credibility. 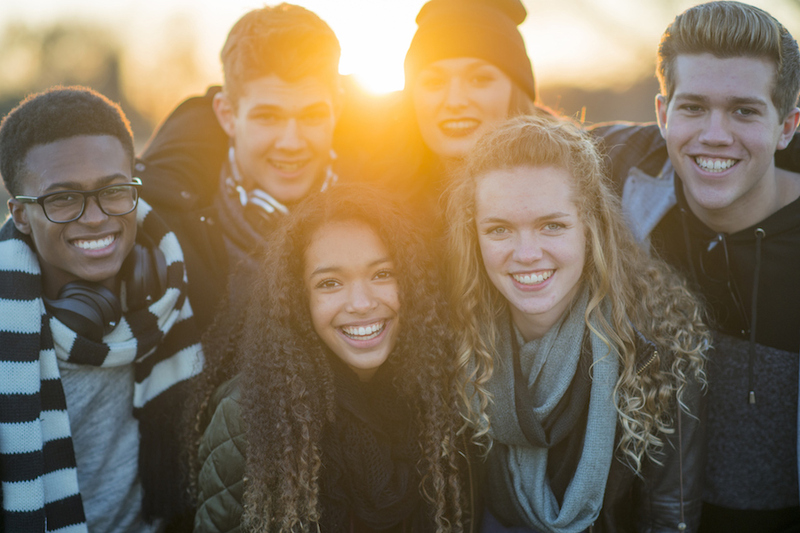 One can’t hope to woo Gen Z consumers without an LGBTQ-friendly workplace, for example, and any campaign hoping to target queer youth should seek the advice of community members who can offer feedback on the most appropriate tone and terminology. Saying “transgendered” rather than “transgender,” for example, or thinking the “A” in “LGBTQIA” stands for “ally” could be a fatal mistake, conveying to LGBTQ young people that a brand’s interest in them is merely superficial. The language surrounding these issues is still evolving, being written by young people themselves, and advertisers should commit to a continuous education in which they let the kids lead the way. By the same token, advertisers should strive for a presence on social media platforms that is seamless, rather than intrusive. Growing up in a media-saturated environment has instilled in Generation Z the expectation that every online interaction be instantaneous and intuitive. It’s also made them deeply skeptical of being targeted or pandered to. It bears mentioning that the opportunities offered by plugging in to Generation Z’s digital world are matched by the potential pitfalls. Advertisers are sometimes scared off by the fact that Gen Z-ers have incredibly high standards, and they can be quick to turn on brands and public figures who behave in ways they perceive to be problematic. Cover Girl earned praise by making James Charles, a gay teenager, one of its iconic public faces, but met with significant backlash when Charles tweeted a racially offensive joke. Brands that want to participate in the vast social media conversation shouldn’t fret over every micro-controversy (after all, there will always be trolls), but at the same time they should be willing to offer authentic apologies if and when they offend their audience. The need for care and caution shouldn’t dissuade advertisers from pursuing Gen Z’s LGBTQ tastemakers, and outlets like Teen Vogue and Condé Nast’s them are providing content that caters to this demographic, from featuring their favorite activist celebrities to editorial spreads in which models of all (yes “all” and not “both”) genders pose in the season’s hottest dresses. The bottom line is, there are no shortcuts with this generation, so brands hoping to secure their loyalty need to make an honest appeal to their values and increasingly diverse identities. In recent years, when the LGBTQ community was struggling through an epidemic of teen suicides (an epidemic that is ongoing for trans youth), queer figures fought back with a mixture of online campaigns, such as the It Gets Better Project, and a concerted increase in positive gay representation on television. The constant mantra during that time was “representation matters,” and this maxim still holds true, whether it’s queer characters on a TV show or queer models holding hands in ad campaign. The impact on a young LGBTQ person’s mind of seeing marketing geared towards them can’t be overstated, and can create a powerful sense of loyalty towards brands that are willing to reach out and understand them.